Immaculate 3 bedroom, 2 bath home in Liberty Village! A warm welcoming in the home with cathedral ceiling and wood burning fire place in the great room. French doors for cozy feel in the family room with electric fire place enjoyment. Custom blinds in both great room and family room. Master bedroom suite with walk-in closet and full bath for convenience. Step outside to the 14x14 wood deck or inside to the eat-in kitchen featuring beautiful back splash and additional seating in formal dining room for unlimited entertaining family & friends! 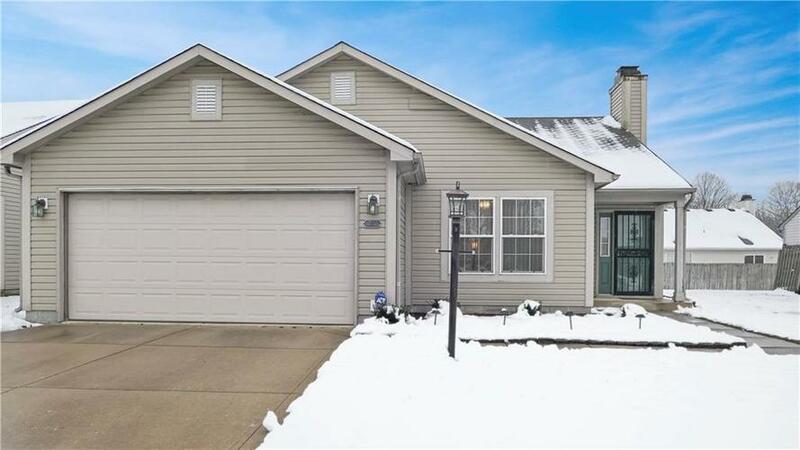 Perfect location in Pike Township, around the corner from so many Eagle Creek amenities. Directions:From Lafayette Rd between 56th St & 62nd St. Right on Pilgrim Dr. Left on Vicksburg Ln. Right on Blackley Ln. Home on right.